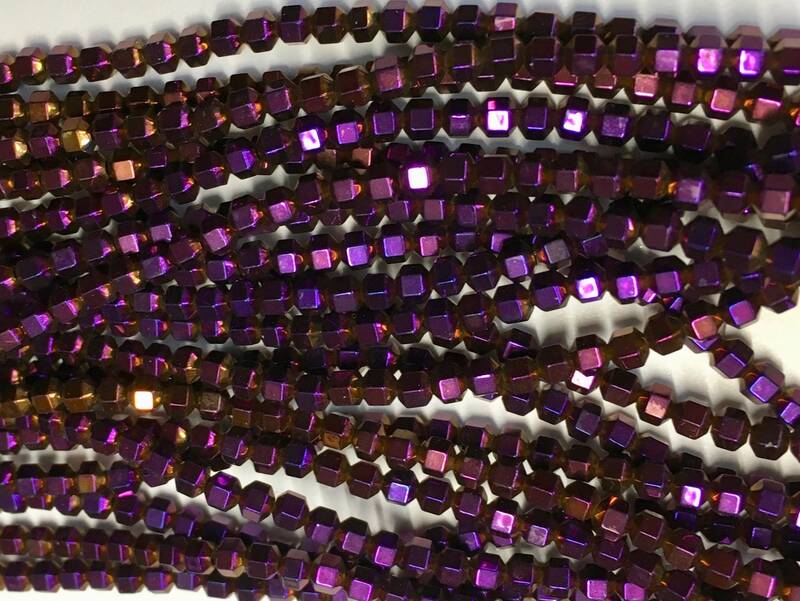 Purple hexagonal faceted beads provide lovely sparkle! These approximately 3mm x 3mm hexagon hematine gemstone beads feature a vibrant purple electroplated finish. Manmade hematine has a similar chemical composition to real hematite, and is popular for use in jewelry and crafts. Hole size: 0.4-1.0mm. About 141-156 beads, 16" strand. These are really spectacularly pretty with their little shiny facets. LOVE them.